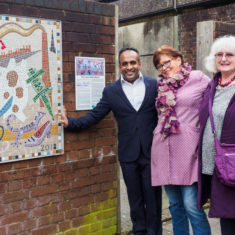 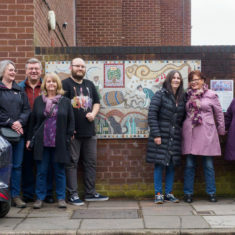 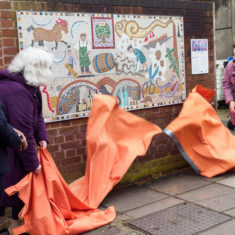 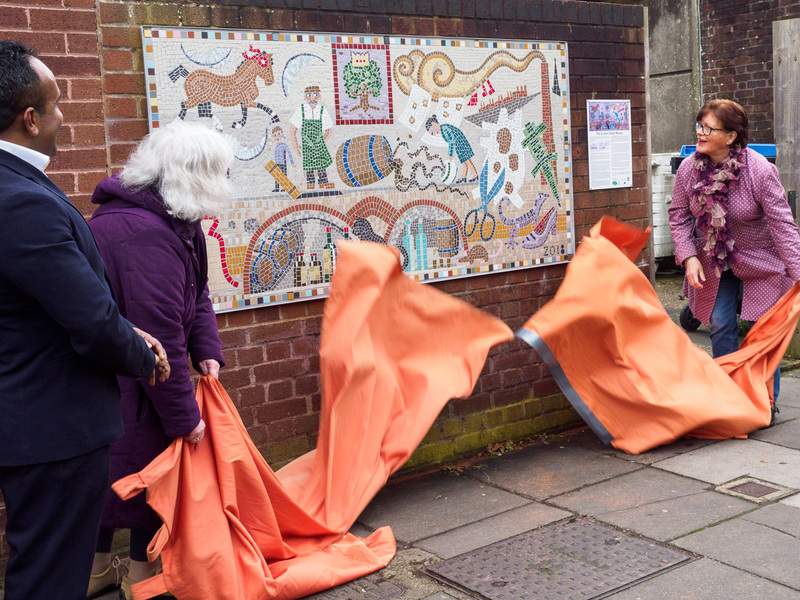 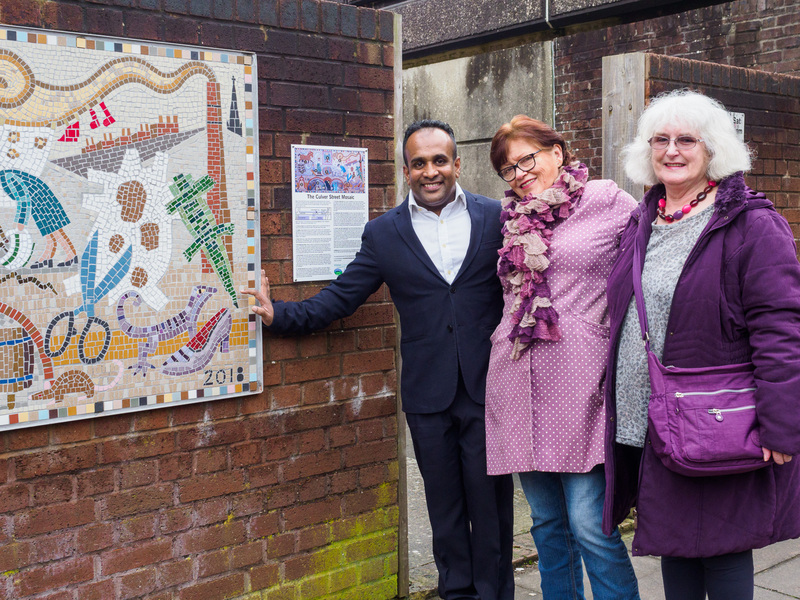 The Culver Street mosaic was unveiled on Monday 19th February 2018 by Angela Freemantle and Beverley Conio. 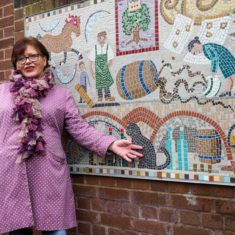 Angela lives in Graham House and was an enthusiastic and positive member of the making team. 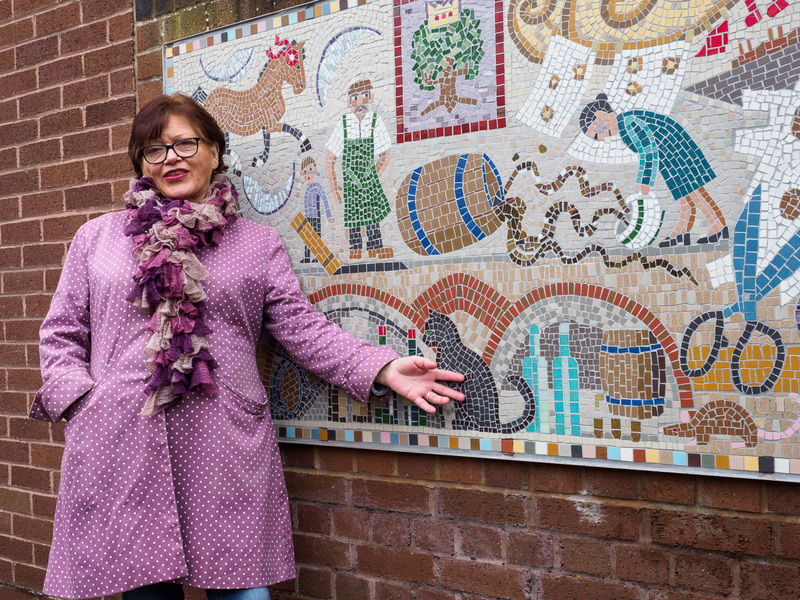 When we told her that we were including a cat on the design she volunteered to make it in memorium to her much loved and missed cat Billy. 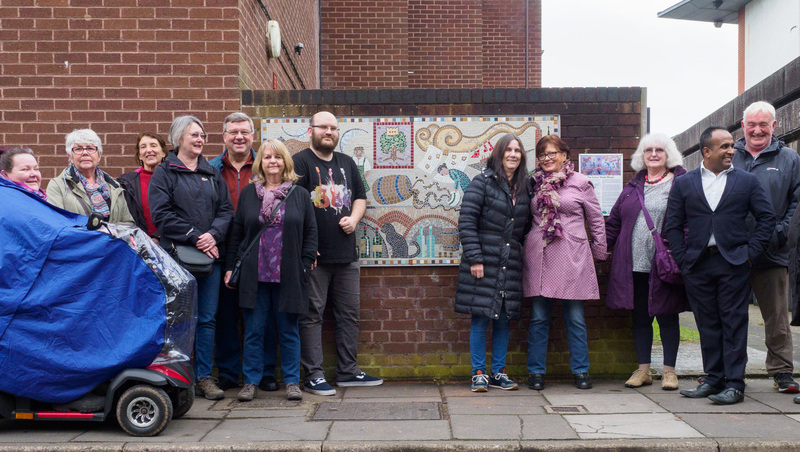 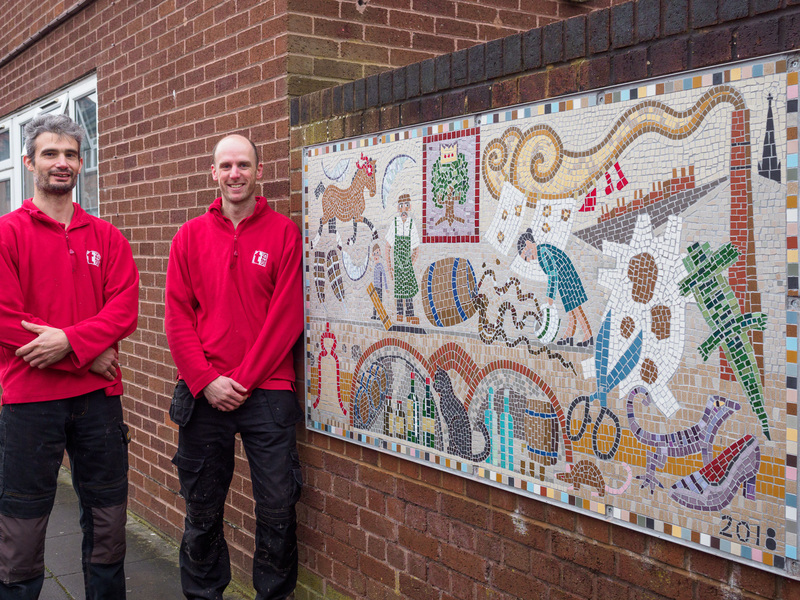 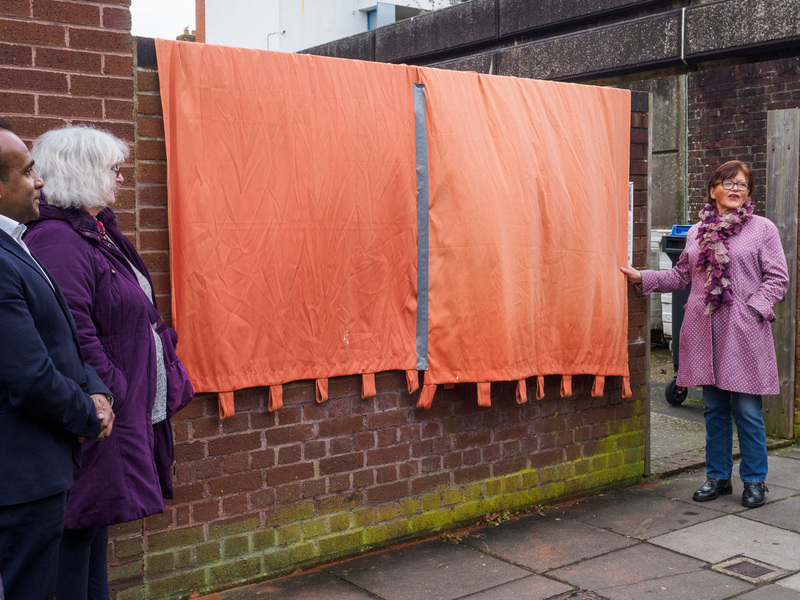 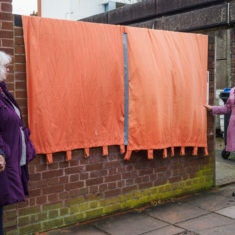 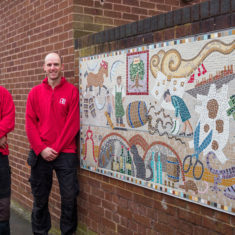 Bev used to work at the Invicta Leatherworks, which feature prominently on the mosaic design, so we thought it was fitting that she should be one of the people unveiling it! 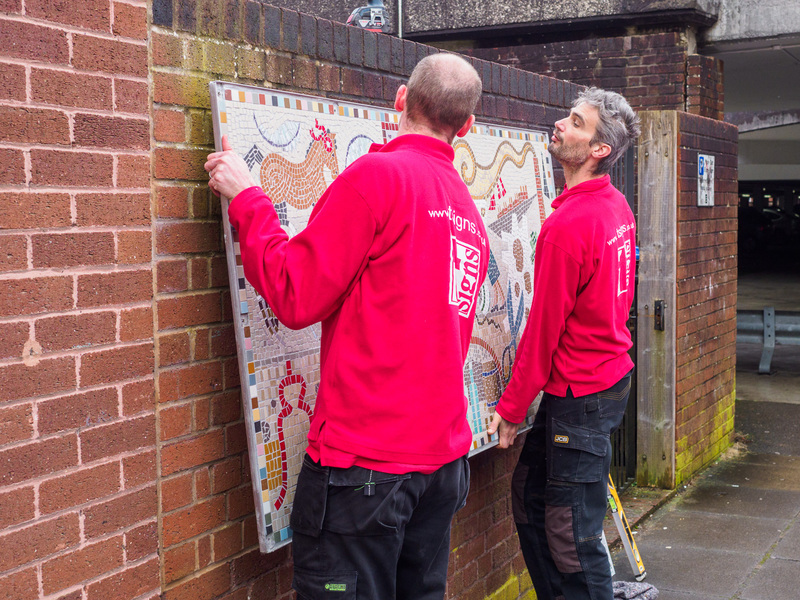 Nathan and Jonathan from T-signs getting the mosaic in place on the morning before the unveiling. 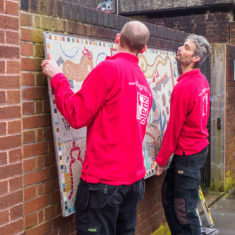 Nathan and Jonathan inspecting their handiwork!